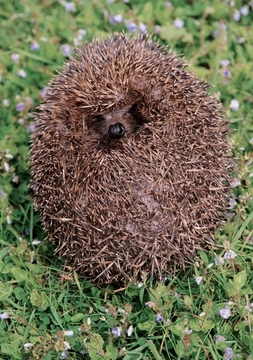 Looking something like a living pincushion, the brown-breasted hedgehog (Erinaceus europaeus) rolls into a ball when threatened, exposing its spines—as many as five thousand of them—to deter predators. When not threatened, this squirrel-sized mammal can be found ambling through orchards, parks, gardens, meadows, and other open areas near human habitation, all across Europe. Nocturnal by nature, it eats mostly insects such as snails, slugs, caterpillars, and beetles, but it won’t turn down a tasty snake, frog, rat, bird, or fish for dinner. 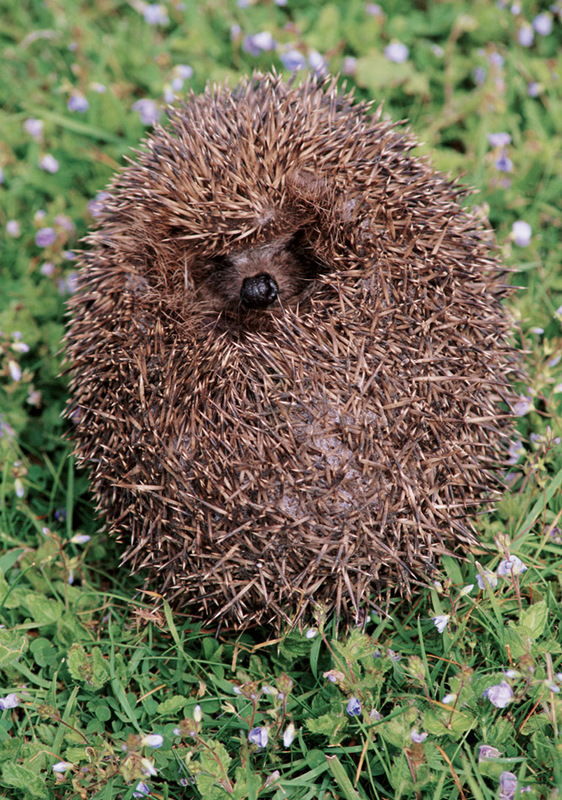 When winter comes, the hedgehog builds a nest, often under a hedgerow, and goes into hibernation.